Napoleon Chagnon & Brian Ferguson: Party Like It's 1999! I stumbled upon Napoleon Chagnon in 2013 while reviewing Jared Diamond’s use of the ethnographic record for The World Until Yesterday. First reaction: Disbelief. Jared Diamond is using Napoleon Chagnon uncritically!? In 2013? But Brian Ferguson did the science on Napoleon Chagnon in 1995! Brian Ferguson already did a complete empirical revision on the Yanomami evidence 20 years ago. After that work, no reputable scholar should be uncritically citing Napoleon Chagnon for empirical evidence. That this even must be done over again is a farce. Diamond cites only Napoleon Chagnon on the Yanomami. He does not mention Ferguson in his book, nor do we ever hear that there may have been a debate about Yanomami warfare. Somewhat ironically, Ferguson and others cleared this up in the scientific journals years ago, but Diamond gets the scientist label without paying attention to science. At that point I had no idea that Napoleon Chagnon was poised to re-take the scene with Noble Savages. And although I was not the only one who thought Napoleon Chagnon should not ever be discussed absent Brian Ferguson, it became apparent that this was not a universal sentiment. So I rewound to the 1990s, checked out some real books from a real library, and reviewed the evidence. Brian Ferguson had indeed delivered a significant empirical challenge to Napoleon Chagnon, especially with the 1995 publication of Yanomami Warfare and the co-edited volume War in the Tribal Zone: Expanding States and Indigenous Warfare (with Neil Whitehead, 1992). By the 1990s it was also more than obvious that horticulturists in the Amazon told us little about the lives of hunter-gatherers in the African evolutionary past. Among others, Marshall Sahlins developed this methodological critique in Stone Age Economics as early as 1972. Eric Wolf’s interpretation of the world as fundamentally formed through interconnection, not isolation, developed in the 1982 Europe & the People Without History had become the dominant theoretical paradigm for understanding anthropology and history. Which is all to say that by the 1990s, the empirical, methodological, and theoretical challenges to Napoleon Chagnon had made him an outlier for anthropology. There were still skirmishes, to be sure, but they were side issues, not of major import for developing better ways to understand humanity. Napoleon Chagnon remained popular, but was irrelevant for anthropology. But already in the 1990s, Napoleon Chagnon was responding to anonymous, malicious criticisms, and beginning to lump those together with the civil critiques of Ferguson, Sahlins, and Wolf, casting all critique as “politically correct” and opposed to science. Fast-forward to 2013 and the empirical, methodological, and theoretical critiques were just as unknown to the public as in the 1990s. The response to Patrick Tierney’s Darkness in El Dorado (2000) erased this history from public and anthropological memory, and ironically rescued Napoleon Chagnon. Update December 2015: For a tour-de-force rebuttal see History, explanation, and war among the Yanomami: A response to Chagnon’s Noble Savages by Brian Ferguson in Anthropological Theory. The soundtrack for the elaboration below is Prince’s 1999 (cassette version, of course). The album was released in 1982, the same year as Europe and the People Without History. Eric Wolf passed away in 1999. Throwing a party is perhaps our best response to anthropology’s apocalypse. Because if Michel-Rolph Trouillot is correct that “anthropology’s future depends largely on its ability to contest the Savage slot and the thématique that constructs this slot” (Global Transformations 2003:9), then 2013 was a miserable year. Ferguson’s work has been caricatured as blaming all violence and warfare directly on Western contact. He does not. Nevertheless, he uncovers a mostly untold and historical story of exchange, trade, and interaction over hundreds of years. Ferguson’s perspective has also been caricatured as positing placid peace prior to interaction. This is also false–Ferguson is setting up neither a baseline of inherent peacefulness nor inherent warfare, but instead explaining these as a product of historical circumstances. Indeed, at the end of this section, Ferguson writes that there are others who may have been focal points as well, but they did not write about their activities, and that an empty mission may have been just as significant as actual contact with Napoleon Chagnon: “I should emphasize here that the presence of the empty mission was itself probably as or more significant than Chagnon’s presence in affecting the course of events” (1995:306). the third problem is the most serious. For reasons Chagnon does not explain, his data on reproductive success do not include “living children whose fathers are dead.” I question the impact of participation in a killing on the likelihood of being killed: Does the average unokai live and breed longer than the average non-unokai? After compiling the case material presented in this book, I emphasize this question even more. . . .
A tribal zone is that physical and conceptual space that radiates out from the borders of the intrusive state system. This zone beyond the state’s immediate control has a dynamic effect on developments within the colonial enclave and profoundly influences the social and cultural life of the independent peoples within its scope. . . . Although there was initially some confusion about whether peoples in this Amazonian region were hunters and gatherers, it was Napoleon Chagnon’s research which suggested they were quite clearly practicing slash-and-burn horticulture, and that this was a well-established pattern, not a recent import. However, this raised a methodological challenge to claims about how representative they were for human evolutionary history–by the 1990s it was very clear that if there were an ancestral human evolutionary pattern, it was hunting-and-gathering in Africa, not horticulture in the Amazon, and so it would be unwise to claim that the Yanomami may have something significant to tell us about human evolution. There were a number of people investigating these issues, but for fun let’s just talk about Marshall Sahlins and Stone Age Economics (1972). Perhaps the most famous essay in Stone Age Economics is “The Original Affluent Society.” Sahlins originally presented this essay for the 1968 book (and conference) on Man the Hunter . It must immediately be said that the Man the Hunter title for this conference and book is perhaps an even worse misnomer than The Fierce People. It was here that Richard Lee would emphasize the importance of gathering as the caloric mainstay for most hunters-and-gatherers, leading to a re-orientation of research on the role of women and gathering. Similarly, although the affluence title has been caricatured as promoting the idea of lazy hunters, Sahlins was instead playing with the terms and stereotypes of the times: “There is also a Zen road to affluence, departing from premises somewhat different from our own: that human material wants are finite and few, and technical means unchanging but on the whole adequate” (1972:2). < The larger point is that by the 1990s it was clear that relatively sedentary slash-and-burn horticulturists in the Amazon really did not provide a model for the evolutionary past. Jared Diamond had published his first breakthrough non-ornithology article on these matters in 1987, Diamond’s Worst Mistake in the History of the Human Race. By then, Diamond was either plagiarizing from Richard Lee about the abundance of mongongo nuts, or the material had so seeped into the general consciousness that no citation was necessary. It is a common misconception that Wolf was portraying a world of fewer and fewer “uncontaminated” societies. Instead, Wolf posited that all societies had been forged through interaction. Isolated societies were anomalies to be explained, not the last laboratories to be discovered. Wolf’s revisionary thinking had become quite entrenched in anthropology by the 1990s. I remember an ethnographic methods seminar in 1993 with Professor Eytan Bercovitch who began a very funny riff about his idea to think about what would be the wrong fieldwork project. Bercovitch’s first wrong idea was the proposal of being helicoptered in to some remote and isolated place, with no previous contact, and he imagined the grant reviewers shaking their heads with a knowing look about how wrong that idea would be. Somewhat ironically, Bercovitch had perhaps come closest to this kind of project with fieldwork in New Guinea–see The Agent in the Gift: Hidden Exchange in Inner New Guinea. Again, this is not because all such peoples had disappeared (another misconception), but because as Wolf tells us, they never existed. Isolation was a temporary condition to be explained, not pursued. 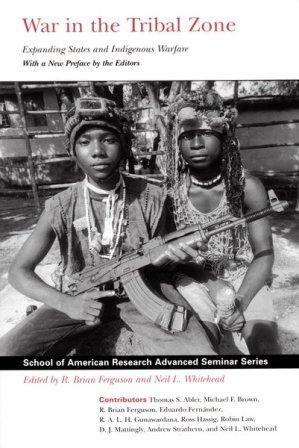 Anthropology Graduate School in the 1990s: Did we ever talk about Napoleon Chagnon? As far as I can remember, I never heard Napoleon Chagnon’s name mentioned during anthropology graduate school in the 1990s. It wasn’t opposition or negativity–he was just not mentioned. It wasn’t political correctness or postmodernism or Writing Culture . If anything, mentors like Sidney Mintz and Michel-Rolph Trouillot were as likely as anyone to inveigh against political correctness and postmodernism. Admittedly my graduate program was very oriented to political economy and history, but I do wonder if my experience was unusual. My take–given the empirical challenge, the methodological challenge, and the theoretical challenge–is that Napopleon Chagnon had faded from mainstream anthropological relevance by the 1990s. And if you told me 20 years ago, back in 1993 when I was looking at graduate programs, when Prince became The Artist Formerly Known as Prince, that Napoleon Chagnon would be a big popular media hit in 2013, I probably would have steered more toward programs in Latin American history. Such a package was mailed to me on November 12, 1993. Part of its agenda appears to be to impugn the standing of Napoleon Chagnon within the scientific community of anthropologists, to serve political purposes of the moment. . . . Anthropologists need to arm themselves professionally and ethically against such dubious practices of anonymous character assassination, directed in this case against an anthropologist who has built up an exemplary body of data through long-term and often difficult fieldwork. Even those among Chagnon’s colleagues who might disagree with his Neo-Darwinian premises (and these include the present writer) acknowledge his extraordinary devotion to anthropology as a science, which has provided us also with the information that allows us to debate his interpretations and suggest possible alternatives. This was recognized most recently in a meeting devoted to Chagnon’s work at the New York Academy of Sciences on September 27, 1993. On a recent trip to the Brazilian Yanomamö area (September 1995) an “anonymous dossier” was provided to the press and FUNAI officials claiming that I “caused” the military overthrow of the Venezuelan government in 1991, the malaria epidemics that are decimating the Yanomamö, the murders of several of my Yanomamö friends, and the wars among the Yanomamö that I described in my publications. The dossier’s authority on the latter claim is Ferguson’s book. Again, where Wolf and Ferguson separate careful and collegial critique from the anonymous criticism, Chagnon lumps critique with criticism–a mischaracterization of Ferguson’s book is sufficient to damn the book itself, caricatures of caricatures. The demons are all aligned, several years before Darkness, as Chagnon distances his no-quote scientific anthropology from scare-quote “scientific” anthropology. Interestingly, Chagnon claims that it is anthropologists like Ferguson who are the reason fieldworkers were being rebuffed, when in fact it was the extractive-data-at-any-cost approach that had earned anthropological fieldwork a hostile reception. Although Darkness in El Dorado did not come out until 2000, Chagnon was already confronting all of the charges by the mid-1990s. Chagnon had met Patrick Tierney in 1995 and as Alice Dreger makes clear, Chagnon suspected Tierney of being the author of this anonymous dossier. Chagnon also had been working on a counterattack: blast “much of contemporary culturally anthropology” as promoting “politically correct fairy tales.” I don’t know what sort of effect these broad-stroke blasts had on people like Eric Wolf, who defended Chagnon while maintaining room for critique, but it can’t have been helpful for rallying support. Too much has been written about Darkness in El Dorado, and I’ll confine my comments to a couple surprises when I checked the hardcover book out of the library. First surprise was the cover. Underneath whatever book-jacket had once been there, the library hardcover now only displays the initials PT. Strange. But as is certainly clear by now, Darkness was always all about Patrick Tierney, PT, as the true hero of this tale. Second surprise, the subtitle: How Scientists and Journalists Devastated the Amazon. Really?! Colonial era slave-raids, rubber tappers, missionaries, mining, cattle, petroleum. I mean, sure, there probably were some scientists and journalists around, but seriously. Tierney’s Part I, “Guns, Germs, and Anthropologists, 1964-1972” starts at the same point Brian Ferguson’s Yanomami Warfare reaches on p.283. I was sent the prepublication copy of the New Yorker article. They called me to fact-check and everything was fine except one passage where Tierney has me saying something to the effect of “missions could be disruptive but according to Ferguson they are less so than Chagnon was,” downplaying the impact of the missions. I said, no I didn’t say that, and I don’t believe that to be true. I think [the missions] were very disruptive in the period I’m talking about. . . . I said that’s not what I said. And I got a call from Patrick Tierney and he got quite angry about it and said that I was backing down and that I was making a political move here and that he had me on tape saying what he said I said. And I said you’d better get that tape ready, because that’s not what I said. . . . Terrorism, survivalists, school shooters, as splayed against and displaced onto the external violence of savages and traditional societies. Difficult to believe that was published in 1999. Napoleon Chagnon Fadeaway–And Then He’s Back! When I saw the headline for this article, my first thought was “Oh, not this again.” After reading it and the comments, that thought persists. When the “Darkness in El Dorado” scandal broke, I felt it necessary to read all the documentation that appeared, because as a product of the department Chagnon taught in, I was going to be asked a lot of questions. At first, I felt it a duty to teach the controversy to our students. After several years, I dropped it entirely. I was not trying to cover up a controversy; I talk about it freely if asked. I had simply concluded that there were no real lessons here about anthropology or the Yanomami/o. One cannot get an accurate feel for the field of anthropology from this controversy. I concluded that the controversy is destined to sustain profound misunderstandings of anthropology, anthropologists, and the people among whom we conduct research. (Example: How could I, a socialist who finds sociobiology unattractive and whose own work has been called post-modern, not only get along with Chagnon but also respect his work? Sorry, it’s true.) I have little optimism that a new book will change this dynamic, although I can appreciate Nap Chagnon’s reasons for writing it. Nevertheless, there is comforting news: One can still teach and write what anthropology is really all about, including the evolutionary, Marxian, and humanistic perspectives, and the everyday lives of indigenes, corporate bankers, and just plain folks the world over. It’s still rather a mystery how Napoleon Chagnon reappears in 2013. There weren’t any new papers in Science, no new data, no theoretical insights. It wasn’t Steven Pinker’s Better Angels of Our Nature, which contains only a couple minor Chagnon references, including one in which Pinker reports how an anthropologist colleague wrote in the margins “Are the babies fierce?” (2011:57). Jared Diamond’s The World Until Yesterday makes much more extensive and uncritical use, which no one seemed to notice until Survival International’s Stephen Corry said it was Completely Wrong. After that Pinker tweeted support, and then of course Napoleon Chagnon himself appears on the scene. Prince too vowed in 1999 never to play 1999, but it then reappears in the setlist. Marshall Sahlins’s decision to resign from the National Academy of Sciences prolonged the coverage. While some people question why it took Sahlins ten whole months to resign after Napoleon Chagnon was elected, such questions overstate Chagnon’s relevance. Do they really think Sahlins was sitting around watching the membership register–Hey, there’s Napoleon Chagnon, I’m gone! Most anthropologists didn’t even know Chagnon had been elected to the NAS until the February 2013 coverage. I haven’t found any announcement of Chagnon’s 2012 election in the New York Times, for example. In that case, it had not been a news event inside or outside of anthropology. Update: See A Thousand Kinds of Life: Culture, Nature, and Anthropology in Dissent; apparently Sahlins attempted to resign from the NAS twice before, once in May 2012 after Napoleon Chagnon was elected and once in October to protest military-oriented projects. Marshall Sahlins confirms this account in a guest editorial for Anthropology Today, The National Academy of Sciences: Goodbye to all that (April 2013). From the 1990s: What Happened to the Empirical Critique? Revisiting the empirical, methodological, and theoretical issues from the 1990s, it’s pretty clear there has been almost no movement, at least in terms of how anthropology is represented in the media. Napoleon Chagnon appears as vindicated. The rejection of Darkness in El Dorado strangely becomes Chagnon’s validation. Anthropology may even be faring worse in the media and popular representations than it was in the 1990s. In the present media storm, Brian Ferguson’s empirical critique has mostly disappeared. Chagnon’s Noble Savages mentions Ferguson by name in exactly one short endnote. Nicholas Wade, prior to a correction, allowed Napoleon Chagnon to claim that no revision to his 1988 Science findings had appeared in a peer-reviewed journal. Whereas biological anthropologist Daniel Lende remarks that Chagnon’s 1988 article should not have made it through peer review, for the media it stands as unrefuted, or even unmodified, with the claim of killers having three times as many offspring. I object to the notion that whether the tribe I studied is called “Yanomamö” or “Yanomami” is merely a matter of preference. It is a matter of linguistics. The final vowel /ö/ in Yanomamö is important; some people don’t hear it and therefore cannot pronounce the name that the Yanomamö use for themselves. If the name is rendered “Yanomami,” people pronounce it “Yanoma-meee.” This mispronunciation can be traced to members of the Catholic missions in Venezuela and Brazil who came from countries where Romance languages are spoken and had trouble hearing the final vowel /ö/. The rendition of the tribal name as “Yanomami” gives me an uncomfortable feeling that I am subscribing to and endorsing a 500-year legacy of Spanish, Portuguese and French colonialism among Native Americans in the New World. I hope outsiders will take this into consideration when they adopt a spelling for the tribal name. Of course, Ferguson and others were seeking to point out that there was not necessarily one stable group over time, but a historical and shifting collection with linguistic variation. After all these years being told that it was of no consequence to label them The Fierce People, apparently a final vowel change might endorse the 500-year colonial legacy. From the 1990s: What Happened to the Methodological Critique? The critique that horticulture in the Amazon is not a good projection onto hunting and gathering in Africa has also been lost. Nicholas Wade famously and erroneously states that “in the 1960s, when Dr. Chagnon first visited them, the Yanomamö were probably as close as could be to people living in a state of nature.” Just two sentences later, Wade will talk about them cultivating plantains, a high-starch, high-fat, high-calorie agricultural crop brought from Africa by Europeans. State of Nature! But don’t blame Nicholas Wade, he’s just reporting Napoleon Chagnon’s account. “During most of my fieldwork the Yanomamö lived as close to the ‘state of nature’ as one could in the twentieth century” (2013:8). Chagnon refers to the Yanomami as a pristine and primitive people who can serve as models for man before the state. In short, they’re real life examples of the sort of societies described in War Before Civilization. But the history of humans extends for at least tens of thousands of years before civilization (you could argue millions). That history can be stylized into a monochromatic hunter-gatherer past, but I suspect that misses real diversity. Additionally, the modern hunter-gatherers we have are likely not a typical sample, because they exist in marginal territories where agricultural lifestyles are not viable. But most importantly the Yanomamö are slash and burn agriculturalists, for whom Old World crops are central to their subsistence and production. Chagnon does not hide this at all, but he seems to feel that it is of no consequence. He highlights that by elaborating how by material culture alone the Yanomami might actually be analogized to hunter-gatherers. Therefore, the focus on inter-personal relationships and reproductive output. But overall I find this attempt at recasting them as human archetypes unpersuasive. Razib Khan is not a Marxist in a deep sense. Got it. In any case, Khan says Chagnon has the “wrong results” but gives him two points. First for having the “right method,” which certainly goes with Khan’s endorsement of DNA-data extraction–see Native Americans are not special snowflakes. Second, Napoleon Chagnon has the “right enemies,” because whatever he gets wrong about Yanomami as pristine and primitive, Chagnon surely is correct about the [redacted] cultural anthropologists. From the 1990s: What Happened to the Theoretical Critique? It’s entirely possible, as Eric Wolf pointed out in his book Europe and the People Without History, that all human societies have been “contaminated” by contact with more complex societies. That’s the nature of human existence. After the first hunter gatherers began to cultivate a few tiny little crops that they managed to control, the entire world was changed. No society is pristine and absolutely pure. My position, as stated many times in my publications, is that at the time I visited them, the Yanomamö were merely the best approximation anthropologists could have to examine the life of a people living completely free and ignorant of the cultures that surround them. . . . The point is that the Yanomamö are completely unaware, or at least they were in 1964 in the villages I studied, of countries called Brazil and Venezuela. . . . The Yanomamö were quite innocent and naïve about the external world they lived in. As far as they were concerned, they were the only people on the planet. At first I thought this was might be an instance of Napoleon Chagnon being, as John Horgan put it, a “more subtle theorist of human nature than Tierney and other critics have suggested.” Horgan describes Chagnon as lamenting sociobiology’s overreach and seeking common ground with Stephen Jay Gould: “Steve Gould and I probably agree on a lot of things,” Chagnon said. But look carefully at the above quote. Wolf wasn’t talking about contamination, he was talking about co-production. And if the Yanomamö were unaware of countries and thought they were the only people on the planet, then their condition was an anomalous one to be explained, not the best approximation for what human life was ever like. Eric Wolf gets one mention in Noble Savages, in a list of Napoleon Chagnon’s professors, as one of the architects of what Chagnon depicts as anthropological orthodoxy: “The standard, almost solemn, epistemological position in cultural anthropology when I was in graduate school was that humans have only a cultural nature. . . . The biological properties of humans, as my professors taught me, have to be factored out of any anthropological explanation of what we do” (2013:29). Chagnon does not mention Wolf’s letter of support, nor Wolf’s position in that letter: “How biology and culture intersect remains a fruitful area of research” (1994). But these ideas of purity, pristine, degrees of closeness to a state of nature–all of that was a projection of Western power, of a Savage slot anthropology inherited as an academic discipline. Somehow, we’ve seen the Savage slot re-built and amplified in 2013, and it will take more than good empirical fieldwork to contest anthropology’s present position. To cite: Antrosio, Jason. 2013. “Napoleon Chagnon and Brian Ferguson: Party Like It’s 1999!” Living Anthropologically website, https://www.livinganthropologically.com/brian-ferguson-napoleon-chagnon/. First posted 16 March 2013. Revised 22 September 2017.